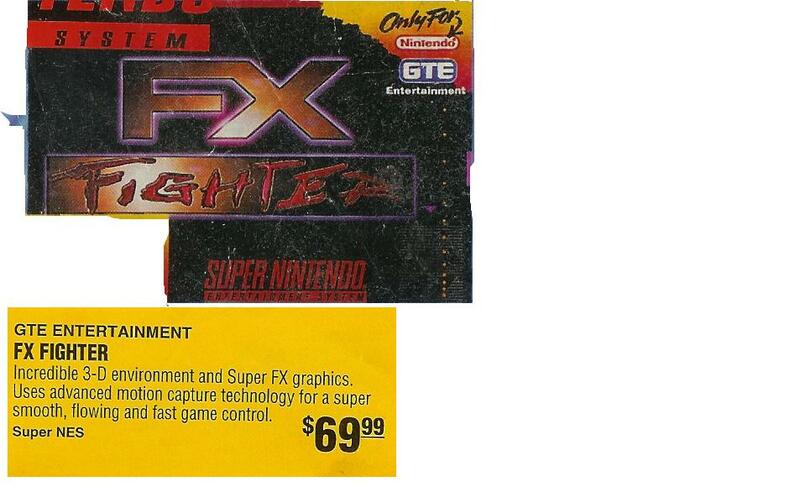 This game was one of the many that were to use the Super FX chip, but were cancelled when the 32 bit systems were released. The game was being developed by Argonaut Software (the makers of Star Fox) and published by GTE Entertainment. This game was released on PC. 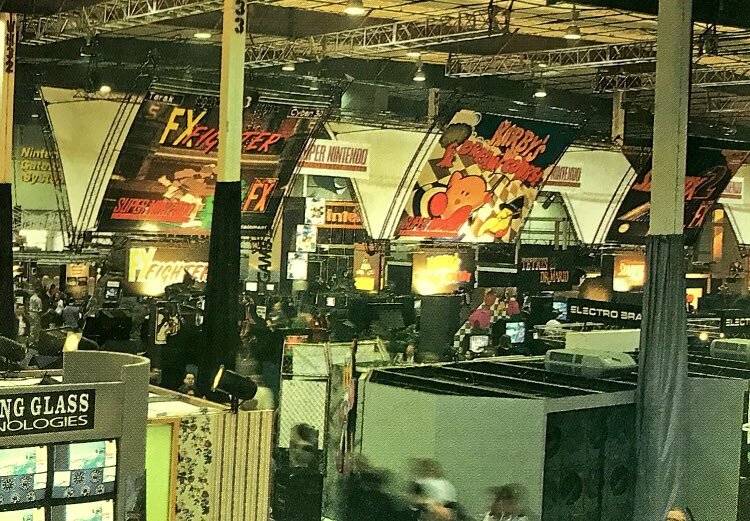 Like Star Fox 2 and Comanche, this game was heavily featured at the Winter 1995 CES. 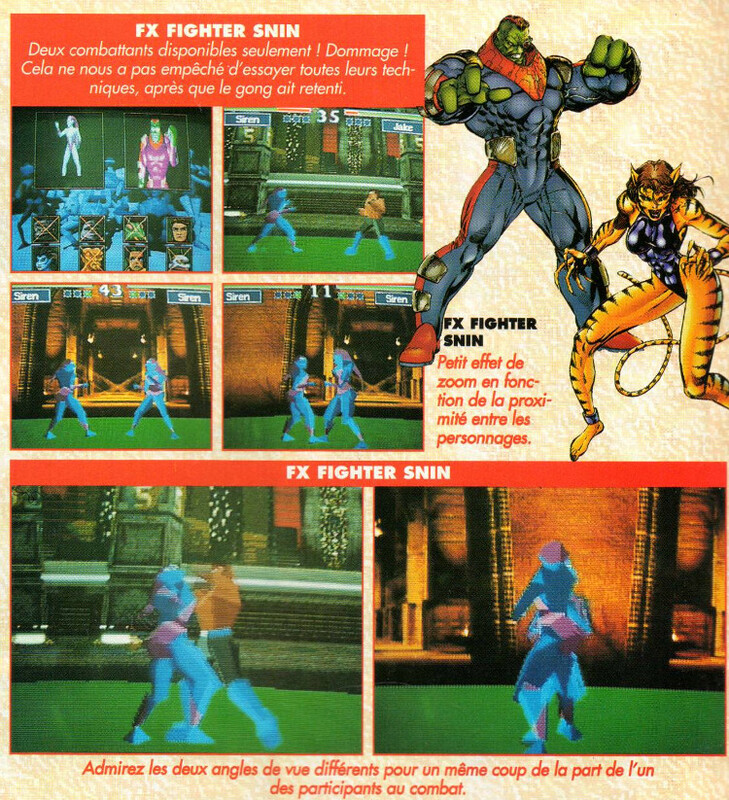 Well... FX fighters was originally a SNES game, which then moved to the Jaguar, and finally ended up on the PC. I actually have the game, and judging from screenshots, I can say not much evolved, so what I'm playing is most likely what would have been on the SNES. The graphics are very blocky... as expected. The game is sluggishly slow. 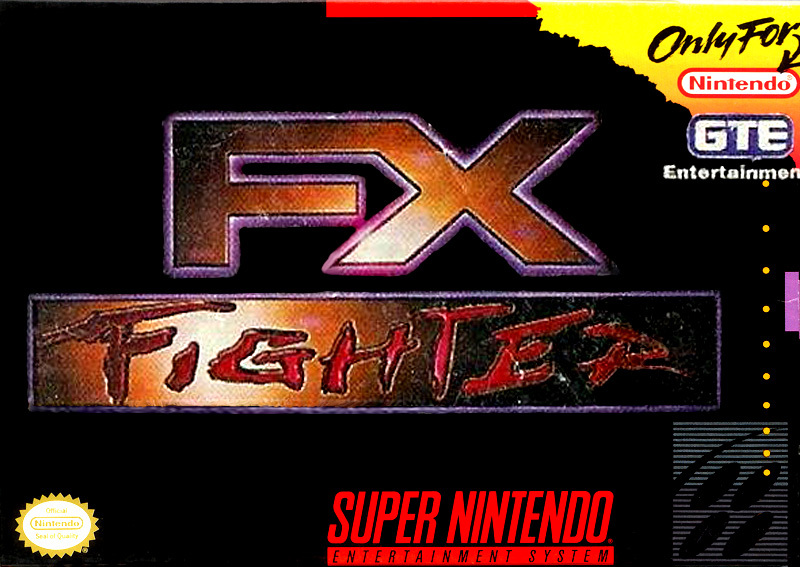 Imagine Virtua Fighter 1... in slow motion, and that's FX Fighter. The version released was EXTREMELY basic. 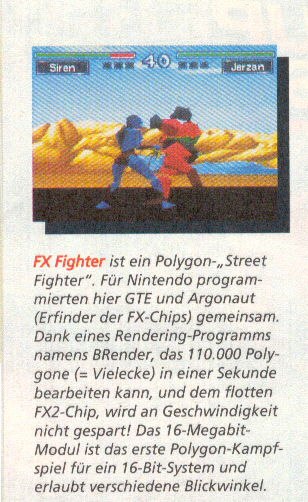 Imagine a simplified Virtua Fighter. Only 2 buttons - punch and kick. The moves are standard VF affair. The back claims over 40 moves per character, but I was lucky to find 1 or 2. It has 9 characters, all largely forgettable. And the story was sort of like Mortal Kombat. 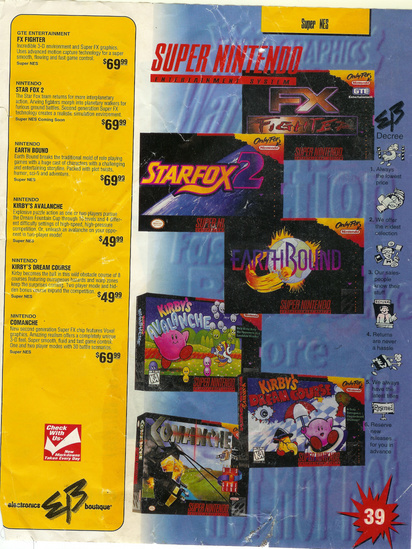 Edited box scan (editing by Carnivol based on an EB Games advertisement, which was sent to me by Locke Cole. Click here for the original, unedited scan. 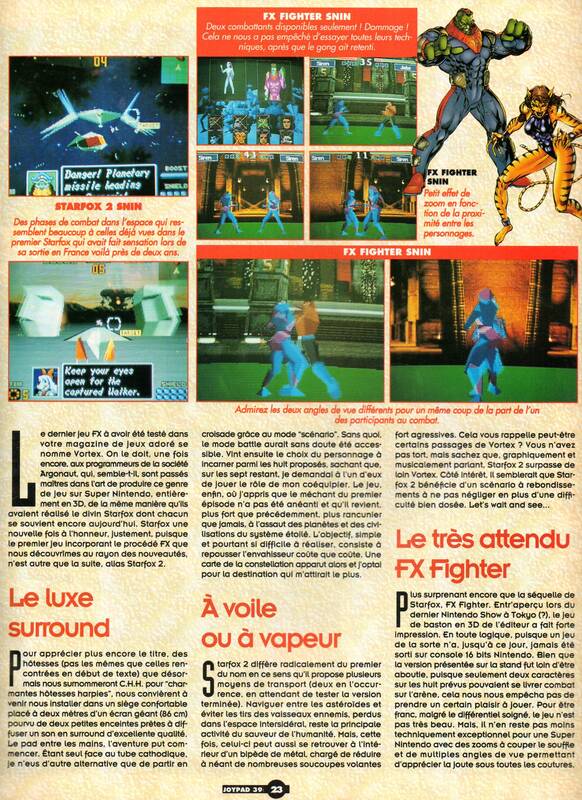 Screenshots from the February 1995 issue of Joypad (a French magazine). Scan courtesy of ljlkunio. Click here for the full page article (in French).